If you've ever used a tripod with your camera, you may have found, as I do, that attaching the camera to that dinky little 1/4-20 captive screw in the tripod head can be a real test of patience. Moreover, juggling a bulky camera and an awkwardly shaped tripod can, if you're not very careful, lead to expensive mishaps. It's even more annoying if your shooting involves a mixture of hand-held and tripod-held shots requiring frequent mounting and dismounting of the camera. The pros solve this problem with a tripod quick release. Commercial versions can be quite expensive for an item that isn't going to see constant use. But we're machinists so we should be able to make such a device in an afternoon. This picture shows the component parts. Top left is the clamp assembly that attaches to the tripod. To its right is the screw and knob that clamps the two dovetailed arms together. At lower left is the dovetailed foot that attaches to the camera with the 1/4=20 screw at lower right. 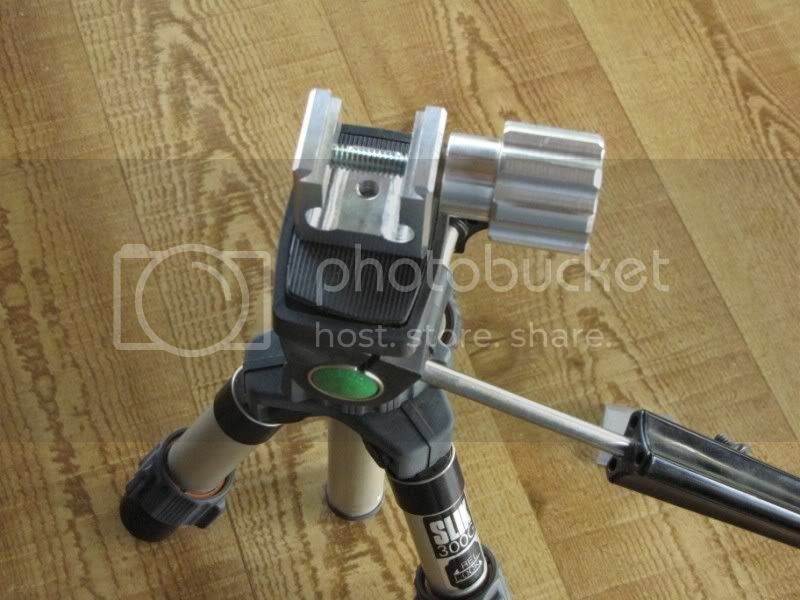 This picture shows the quick release clamp assembled and attached to the tripod using the screw that would normally attach the camera. 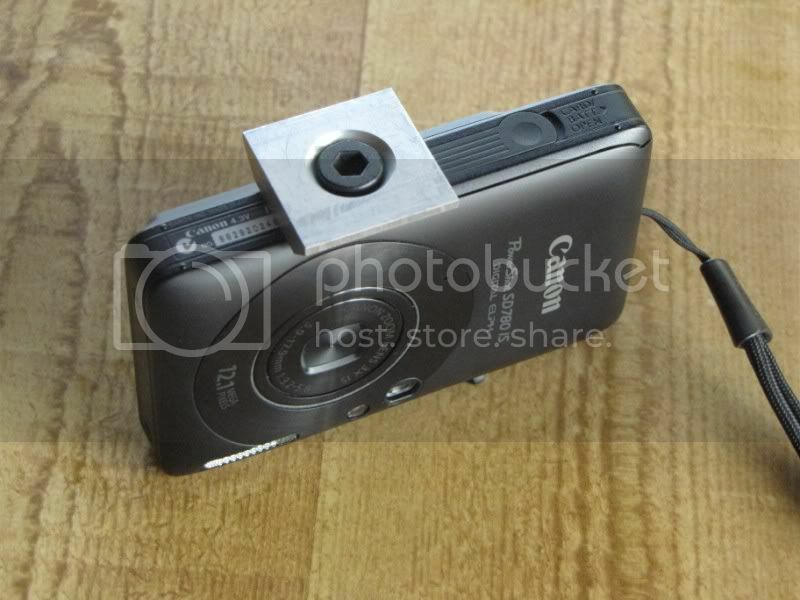 Finally, the camera is mounted to the clamp. 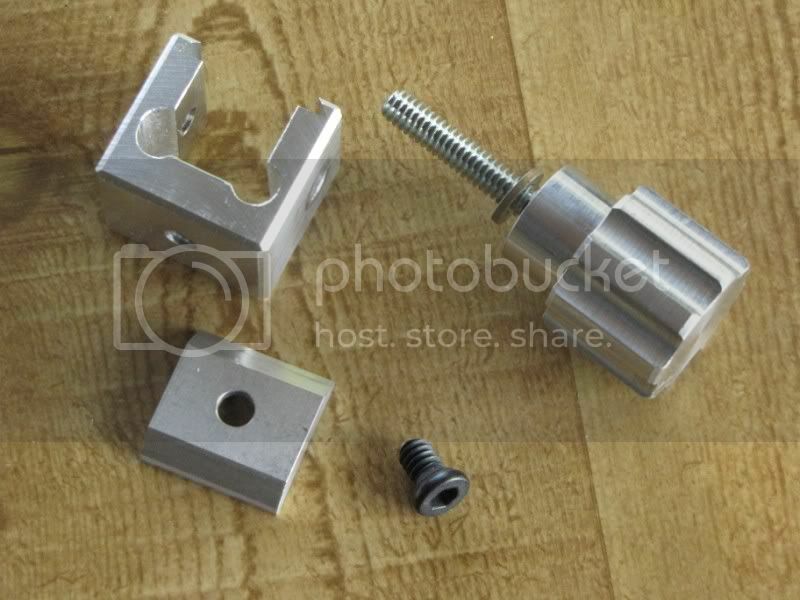 The foot slides into the dovetails in the clamp and a quarter turn of the locking knob locks everything up tightly enough to support even a heavy camera. There's nothing sacred about my design. Feel free to add your own nuances. 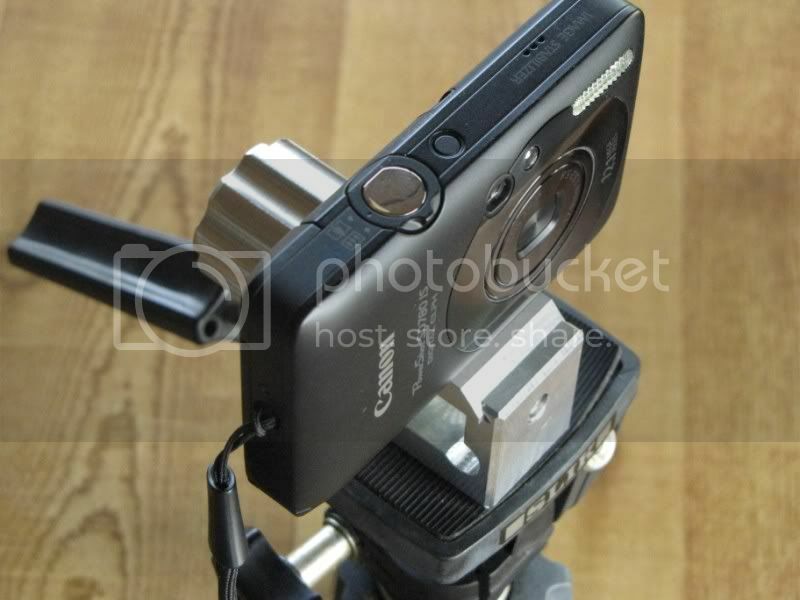 However, the foot should be smallish since you'll want it to stay on the camera more or less permanently and its design should be simple so that you can make one for each of your cameras. The screw that secures the foot should be countersunk/bored into the foot so it doesn't provide a pivot point when the camera is set down on a flat surface. Thank you for the pics Marv. It has got me thinking it is time I made all my cameras with the same fitting. With your method it would be fairly easy.